Last night was gloomy. I said goodbye to Nani and she took a little piece of my heart with her. It’s a new day and I need a pick-me-up! 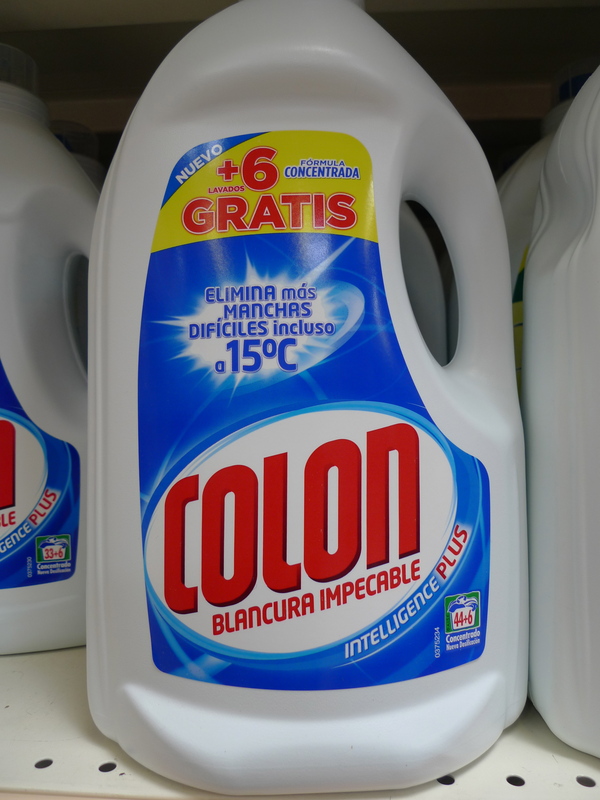 Yes, you’re reading correctly, C-O-L-O-N and it’s a popular laundry detergent here in Spain. Nothing like some “concentrated” colon to get your colors brighter, your whites whiter! Let me translate, “Impeccable whiteness, with intelligence plus! Removes stains more difficult, even at 15 celcius! And you get 6 washes for free!”. Now THAT is a good colon!! Could this be funnier, or does this just tickle my funny bone?